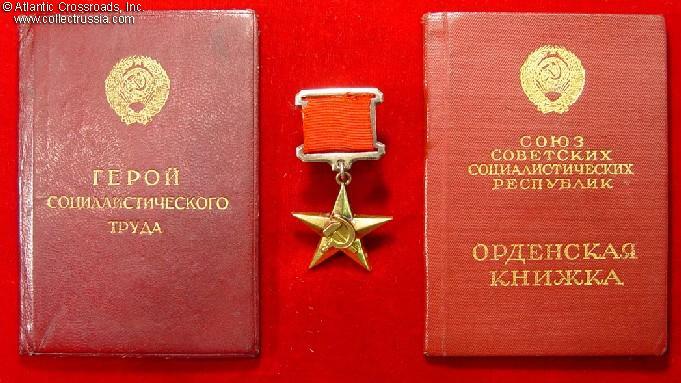 $2,100.00 Gold "Hammer and Sickle" Medal of a Hero of Socialist Labor, Type 2 Var. 3, #14223, circa early 1970s. The star is in solid 23 K gold. A very fine to excellent example free of any significant flaws. Comes on original suspension, complete with mint marked screw plate.